On January 16, 2017, author Michael J. Bynum filed a motion in response to Texas A&M’s University Athletic Department, the Texas A&M University 12th Man Foundation, and three school employees (collectively Texas A&M), motion to dismiss for failure to state a claim. According to the original complaint, in January 2014, Texas A&M posted on its website the “heart” of Mr. Bynum unpublished book, 12th Man: The Life and Legend of Texas A&M’s E. King Gill, “nearly word-for-word” without Bynum’s permission. Thus, according to the complaint, Texas A&M allegedly violated Bynum’s copyright in his unpublished work. The “12th man” is a common slogan used by Texas A&M to refer to former football legend E. King Gill. As we have previously covered, Texas A&M owns the trademark “12th man” and it has vigorously enforced its rights, including filing over 550 lawsuits some against high profile defendants like the NFL’s Seattle Seahawks and Indianapolis Colts. In the most recent development, Texas A&M claims that Bynum’s suit should be dismissed because Texas A&M is protected under the doctrine of state sovereign immunity. Simply put, the doctrine of state sovereignty immunity says that a state cannot be sued without first giving its consent to be sued. Back in October 2017, Texas A&M was ordered to release documents to support its claim that it is protected under sovereign immunity. According to Bynum’s motion, Texas A&M’s Athletic Department “is not an arm of the State, the employees of the Athletic Department are not entitled to the benefits of sovereign immunity because they are not employed by the State or an arm of the State.” In Bynum’s motion, he also argues that even if Texas A&M is protected under the doctrine of sovereign immunity, the defense cannot shield Texas A&M from Bynum’s federal Copyright Act claims. Bynum argues that state sovereign immunity must yield in two distinct circumstances. The first circumstance is when states have yielded their immunity “in the plan of the Constitutional Convention.” In sum, Bynum is referring to an argument made by Alexander Hamilton in Federalist 81, which states that sovereign immunity “is now enjoyed by the government of every State in the Union. Unless, therefore, there is a surrender of this immunity in the plan of the [Constitutional] convention.” Bynum argues that the states did surrender their sovereign immunity, in cases involving federal copyright law, in the plan of the convention when the states ratified Article I, Section 8, Clause 8 of the Constitution, also known as the Intellectual Property Clause. The second circumstance when state sovereign immunity must yield is when Congress abrogate the states’ immunity under Section Five of the Fourteenth Amendment of the Constitution. According to Bynum, Congress clearly abrogated the states’ immunity when it passed the Copyright Remedy Clarification Act. 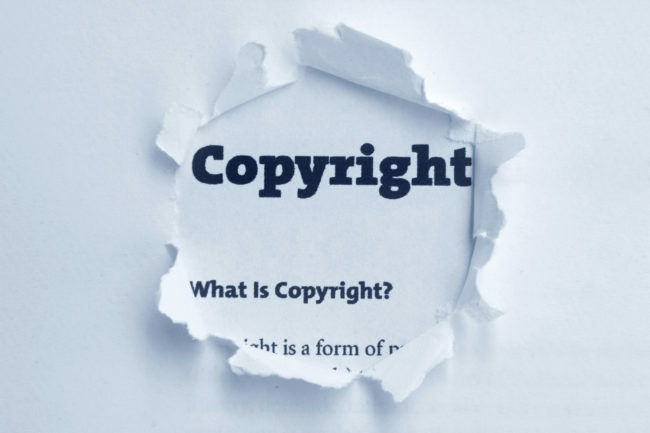 Under the act, states are not immune to suits that are based on infringement of the rights enjoyed by copyright owners. If the judge accepts Bynum’s arguments, this may break new ground regarding state sovereign immunity in relation to copyright law.